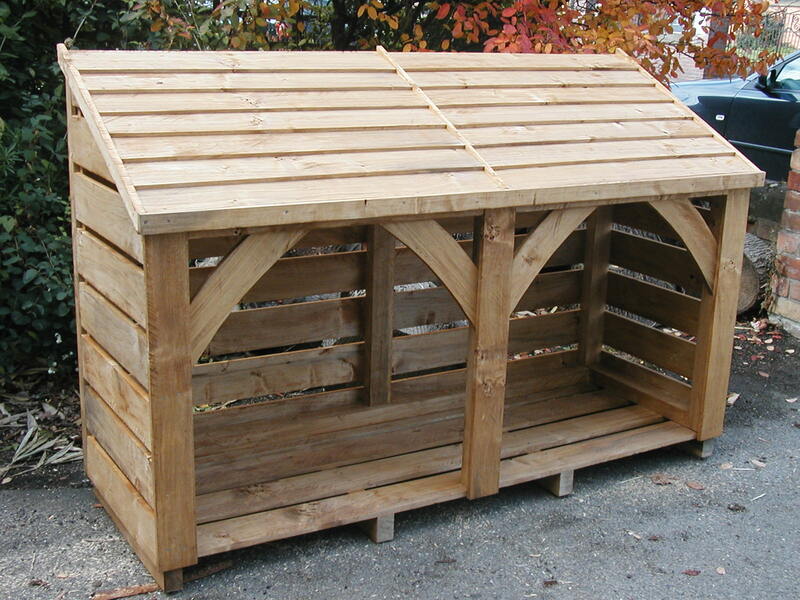 for the woodstore, just what I wanted. We are very happy with the log store, and thank you for all your help on delivery. Happy New Year to you and Andrew. 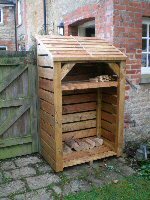 We are very pleased with the wood store, we got the wood stacked in it before Christmas and it has been serving us well over the holiday season, so much easier than going out and having to lift and replace the tarpaulin. Thank you both so much. Although it was a long wait it was worth it! Looks really good and well built so we are very happy with it. Just sending you a couple of photos of the bin store. We're so pleased with it! Thank you for the delivery of the wood store it's just what we wanted. As Andrew knows it was a tight squeeze down the driveway but we got there ok. The log store arrived yesterday - we are very pleased with it - thank you so much. I have just made payment bank transfer. Once again thank you, the woodstore is excellent.